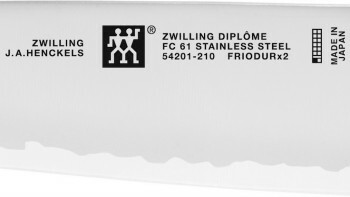 The ZWILLING Diplôme knife series has been developed in collaboration with world-renowned cooking school Le Cordon Bleu. 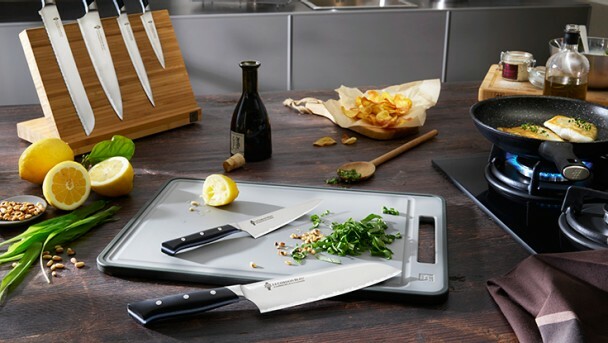 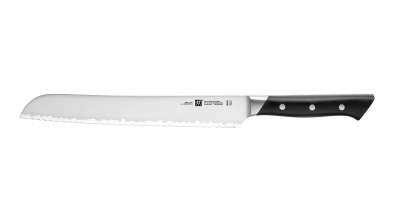 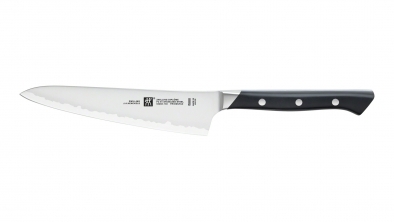 Designed and manufactured to exacting standards, ZWILLING Diplôme knives meet the needs of the demanding chef. The blade is made from a professional-grade special steel which also used for razor blades: FC61. 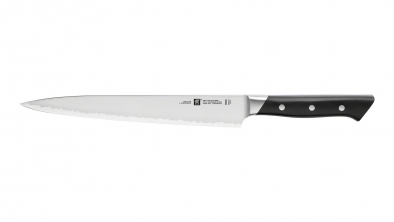 FC stands for "fine carbide", meaning the carbides of this steel are uniformly distributed. 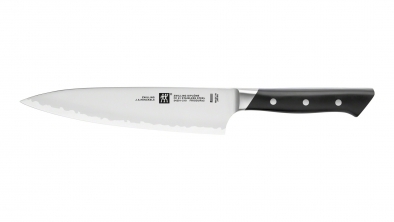 This material structure allows for an extremely fine cut and produces a cutting edge with high initial sharpness and lasting edge retention. 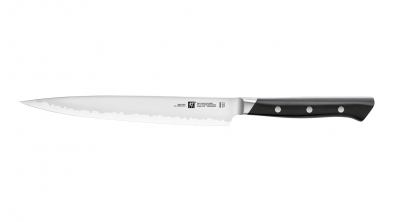 The ergonomic handle has been developed with Japanese professional chefs to meet the highest standards. The three-rivet design and exposed tang gives the knife a timeless look, whilst the shape, size and way in which the handle seamlessly meets the bolster provide comfortable, safe and tireless working. 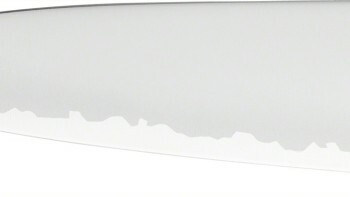 The cutting edge is Honbazuke-honed, giving exceptional sharpness from the tip to the heel of the knife. 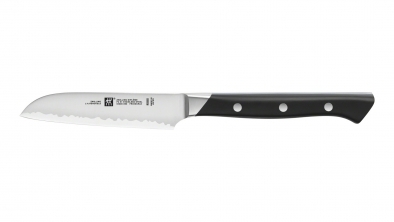 The edge is symmetrical, so the knife can be used whether you are left or right handed. 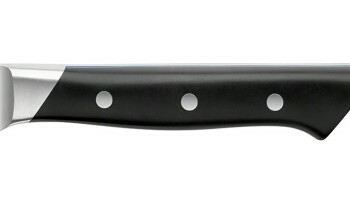 The total cutting angle is 20 degrees for accurate and precise work. 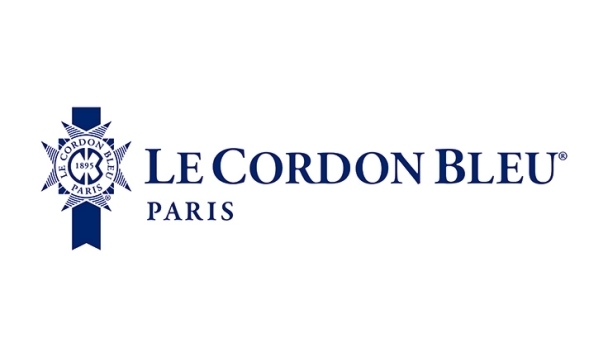 Le Cordon Bleu was founded in 1895 and is the world's leading network of culinary arts and gastronomy. 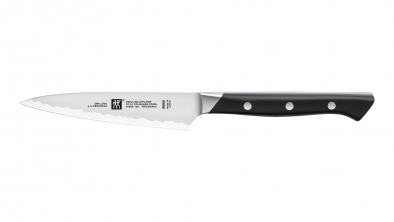 Each year 20,000 students from over 100 different nations are trained. 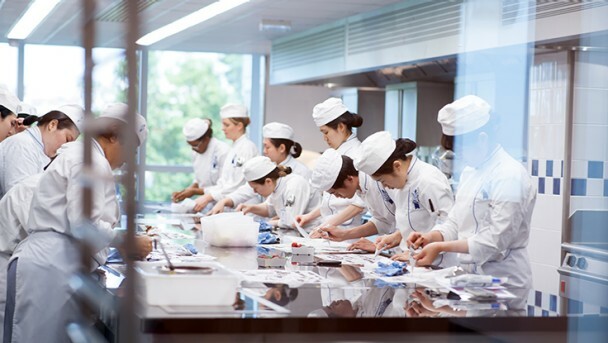 Le Cordon Bleu offers courses in gastronomy, accommodation and tourism from the basic course to MBA.